Local Cars in London, who recently went live with Ghost after switching from their previous system, have exceptionally high praise for Autocab. In fact, according to Manager Imran Kahn, “Autocab is the world’s best system”. He believes he is more than qualified to judge this having worked with many other systems on market during his career in the taxi industry. Having made the decision to switch to Autocab he and his team are now confident they are equipped to take the business to the next level and look forward to a bright future. Despite only going live recently Local Cars are already feeling the positive influence that their new system has introduced to their business. 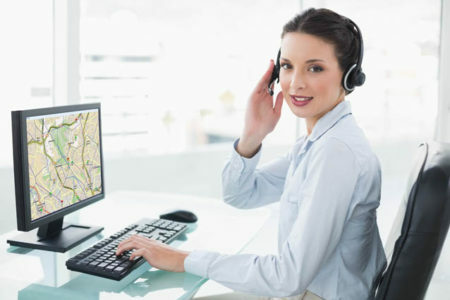 Imran, who has been busy developing plans to expand the business, was eager to highlight some of the initial benefits brought in by Ghost dispatch from Autocab. He was quick to mention how the drivers seemed to be the first to notice an improvement in operations. With a tone of excitement he told us…. Since Imran Kahn had mentioned about the usefulness of Zones, when pressed to comment on the most beneficial aspects of Autocab, it presented an excellent opportunity to examine the subject in some detail. In order to maximise the efficiency of fleet management, your coverage, for example the North West of London, is broken down in to smaller and more manageable areas which are called zones. Each zone will have numerous vehicles which will normally operate within the boundaries of that zone. The zones are predetermined during installation where a highly experienced Autocab engineer will coordinate with the management team to plot the zones in the most logical way. What makes the zoning facility so intelligent is the ability to set the parameters for each zone and that they can be modified at any given time to suit your requirements. For example, jobs can be dispatched to vehicles based on ‘longest waiting’ or ‘nearest available car’. This is especially useful during busy periods. Normally dispatch will be set to ‘longest waiting vehicle’ but at peak times it can be set to ‘nearest available vehicle’ which will reduce waiting time for customers. These parameters can be set to one of, all of, or groups of zones. This can take moments. Another example is the tolerance of each zone boundary. A vehicle may be operating on or close to the border of one or more zones, Ghost allows the user to add a buffer or tolerance to avoid cars jumping in and out of plots. This ingenious method of fleet management is controlled by the advanced dispatch software in Ghost which utilises GPS technology to locate vehicles and zones in real time. It not only ensures a fair distribution of jobs amongst drivers, improving their earnings as it does so, but reduces dead mileage and customer waiting time. The end result is a private hire taxi firm operating at peak performance and maximising profitability whilst delivering a high end service to its customers.